A high-performance, anti-aging treatment that helps repair the look of skin today and for the future. 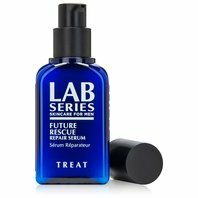 Featuring a "Quad Focus" approach to combat visible aging, this global serum acts as skin's first line of protection to help combat visible aging. Skin is defended; its youth visibly restored, its FUTURE RESCUED.